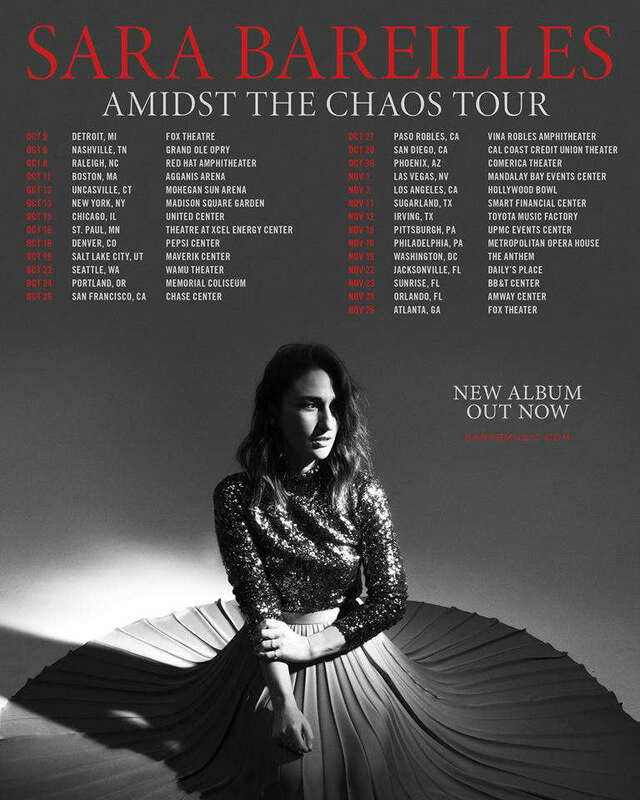 Sara Bareilles has announced 2019 tour dates that will be in conjunction with her recently released album, Amidst the Chaos. The North American shows will begin in October and extend into November, with the singer-songwriter visiting arenas and theatres from coast-to-coast. In recent years, Bareilles has focused primarily on Broadway musicals. She was nominated for Tony awards for her work on Waitress and the SpongeBob SquarePants original scores, and also received Emmy and Grammy award nominations for NBC's Jesus Christ Superstar Live in Concert. This will be her longest tour since 2014. When do Sara Bareilles 2019 tickets go on sale and what is the presale code? The general public on-sale begins as early as April 12. At this time, there are no presales happening. Keep in mind, each date is different and details are subject to change. Click through the individual concert links for more information about the show you're interested in. 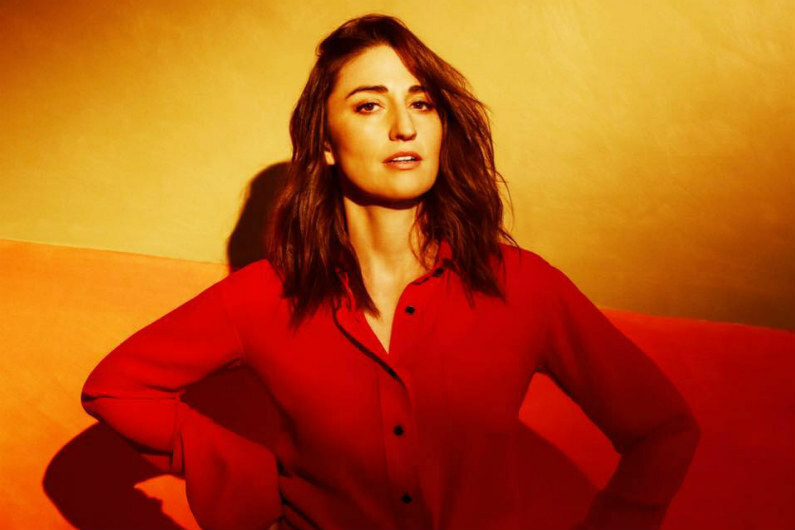 For the most up-to-date information, we recommend following Sara Bareilles on her social media accounts and signing up for her free email newsletter, in addition to signing up for your local venue's email newsletter. Pick up Amidst the Chaos on Amazon. For concert tickets and more, check out the Sara Bareilles Zumic artist page.